Home › Investing › Retirement › Estate Planning › What Is A Living Trust? A living trust, also known as a revocable trust, is a legal document that facilitates the smooth transition of your assets to your beneficiaries upon death or mental incapacitation. Along with a will, a living trust forms part of a smart estate planning strategy to sidestep the legal hassles and costs that could otherwise be suffered. When you care about your privacy, incapacitation, or want to avoid probate, a living trust can help you to achieve your estate planning goals but it does not allow you to reduce your estate taxes and is not a substitute for a will. Does A Living Trust Lower Taxes? A living trust is valuable when you want to avoid probate, maintain privacy, or are likely to be incapacitated. It is not a useful tool to lower estate taxes. Whether you need a living trust depends on your financial situation and estate planning goals. In certain circumstances, a living trust can save you time and avoid legal hassles that would otherwise crop up. If you own property, a living trust can be especially valuable to avoid probate court hassles. You can deed your property into your living trust. And because the living trust is revocable, you still have full control over the property assets. Without a living trust, property that you own is generally subject to a legal process called probate upon your death. 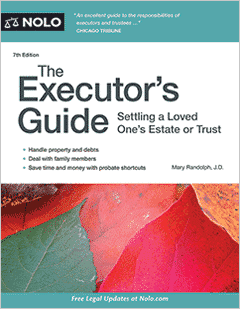 During probate, the executor of your will is instructed by a court to divide your estate among your beneficiaries per your wishes after you will has been authenticated. Without a will, the probate court divides your property among your beneficiaries as the court sees fit. If you are in the fortunate position of owning property in more than one state, a living trust is even more valuable. Without the living trust, property held in your personal estate is subject to probate in multiple states. The legal costs, time and hassle of probate can be avoided by setting up a living trust and deeding your property into it. To avoid snooping neighbors or relatives from seeing what personal assets you are transferring to your beneficiaries, consider setting up a living trust. Because a living trust makes it possible to sidestep the probate process, your assets can transfer to your beneficiaries privately; the probate process is public so, without a living trust, asset transfers are open to public scrutiny. Keep in mind, however, that a will is part of the public record. A living trust is not a substitute for a will, but rather the two legal documents are complementary. Some health conditions lead to a slow deterioration of mental capacity that can be anticipated over time. If a parent is suffering from the onset of dementia for example, a living trust can form part of an estate planning process that allows for a smoother transition of assets upon death or when legally incapacitated. The living trust cannot be set up when a person is already mentally incapacitated, so the person must be in compis mentis (in full control of their mind) at the time of signing. The way it works is that you retitle assets you own into the name of the trust. While you are alive, you act as the (co-)trustee and a successor trustee becomes responsible upon death or when deemed legally incapacitated. When you expect someone might contest your assets, you should strongly consider setting up a living trust. A living trust holds up better than a will when the distribution of assets to beneficiaries is contested. A living trust must not only be written but funded. 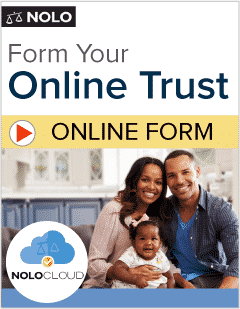 Your living trust is not established by simply creating a legal document. You must also fund the trust by transferring assets to the trust. You may also need to transfer the beneficiary name to the trust on any life insurance policies. If you acquire any assets after setting up your living trust, and want to ensure they are automatically transferred to the trust also, you can set up a “pour-over will” that covers any assets which might otherwise have been inadvertently excluded. Younger individuals and couples with no children and few assets may not necessarily benefit from a living trust. Living trusts are somewhat costly to set up and it takes a considerable amount of time to establish, maintain and modify them. If you are young and have acquired a high net worth, or you own a successful business, you may want to set up a living trust earlier than most in order to provide for the smooth transfer of your assets, even if the chances of dying anytime soon are slim. If your estate value is greater than the Federal threshold, you will be obligated to pay estate taxes to Uncle Sam. You should look at your state estate tax threshold to see whether state taxes need to be paid also. Tax savings are generally possible when you set up an irrevocable trust or bypass trust (though you should consult a tax attorney to explore your individual financial situation). Because a living trust is a revocable trust, the assets of the trust remain in your estate and so it is not an efficient legal means of reducing your estate’s tax burden. Federal taxes of 40% are applied to estates worth over $5,490,000 in 2017, otherwise a tax exemption applies. When you examine how much the top 1% make, you can see that few Americans fall into this category of wealth so most people enjoy a tax exemption. Estate and inheritance taxes in certain states often have lower thresholds, so if reducing estate taxes is your top priority then it is best to consult with a tax attorney in your state. If I Have A Living Trust? A living trust is complementary to a will not a substitute for it. To ensure none of your assets are inadvertently excluded, a will or a pour-over will is an important part of estate planning. A living trust is no substitute for a will. Instead, the two are complementary and serve different purposes. Think of a will as an all-encompassing expression of your wishes and a living trust as a more specific legal document that covers certain assets. If you happen to inadvertently exclude a specific asset from your living trust, your will can act as a catch-all to ensure your wishes are fulfilled. What retirement planning tips do you have that you can share? We would love to hear your retirement plans in the comments below. 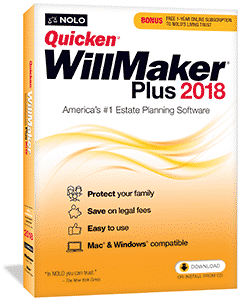 >> How To Make A Will?